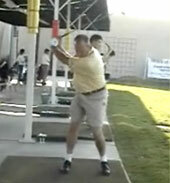 Who had the Fastest Swing Speed in 2009? By Swing Man Golf Staff If you liked the video about the cobra golf tour van and you think it would help another golfer, please To learn more about Swing Man Golf products, click here. By Jaacob Bowden Here is a quick little tour of Golfpark Otelfingen …my current home course. If you liked the article about the Golfpark Otelfingen Tour and you think it would help another golfer, please To learn more about Swing Man Golf products, click here. By Swing Man Golf Staff If you didn’t see Vijay Singh’s Hole in One at the Masters you need to check it out! If you liked the article about Vijay Singh’s Hole in One and you think it would help another golfer, please To learn more about Swing Man Golf products, click here. 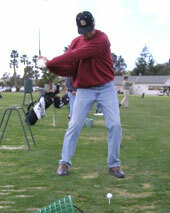 By Swing Man Golf Staff The Swing Man Golf Newsletter is out for March. Check it out here If you liked the article about the Sing Man Golf Newsletter and you think it would help another golfer, please To learn more about Swing Man Golf products, click here. 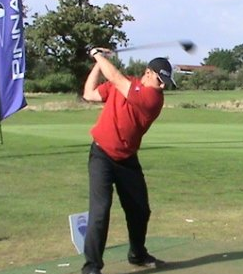 Have you Heard of the New Grooves Golf Rule?